Fátima Álvarez is ⅓ of the founding Someone Somewhere team. All met at school in Mexico City, and launched the socially-conscious lifestyle brand while in college. I was able to work with them on launching their brand in US and became in awe of their ability to respect indigenous culture and uphold the legacy of their traditions – all while integrating artisanal work into the traditional retail supply chain to serve modern Millennial aesthetic. Q: I’d love to start from the beginning. 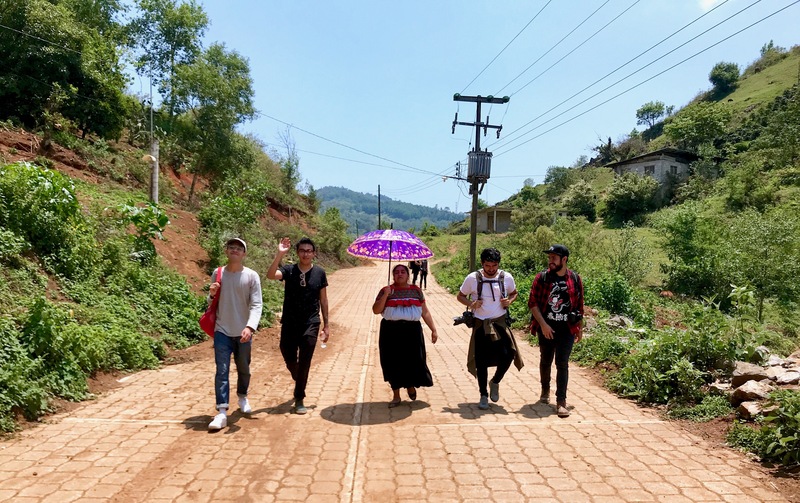 You and your two co-founders Nu and Kique, born and raised in Mexico City were in high school doing social service and noticed the extreme talent of artisan communities – but also the poor living conditions. You set out and formed Flor de Mayo. What did learn that made you then pivot? 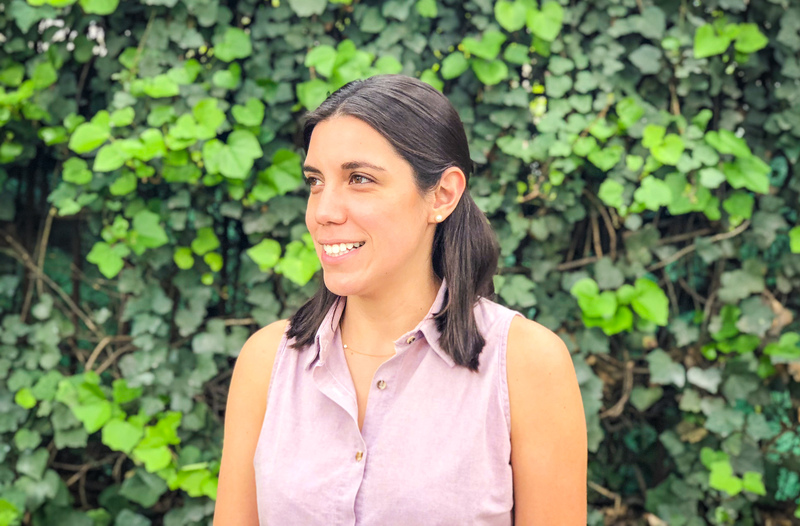 Fátima: At first, we just wanted to team up with the artisans as we noticed that they had a valuable tradition that most people that lived in Mexico City didn’t know about, even though they lived only a few hours away. We thought that the city provided access to a bigger market, better materials, modern design techniques and broader distribution channels since the artisans live in isolated communities. At the same time, the artisans have stories, traditional techniques and a cultural heritage that are unique in the world. At first, we just copy-pasted fast fashion and incorporated the traditional techniques into them. We made products for a market that we didn’t understand–and that wasn’t very appealing for us. 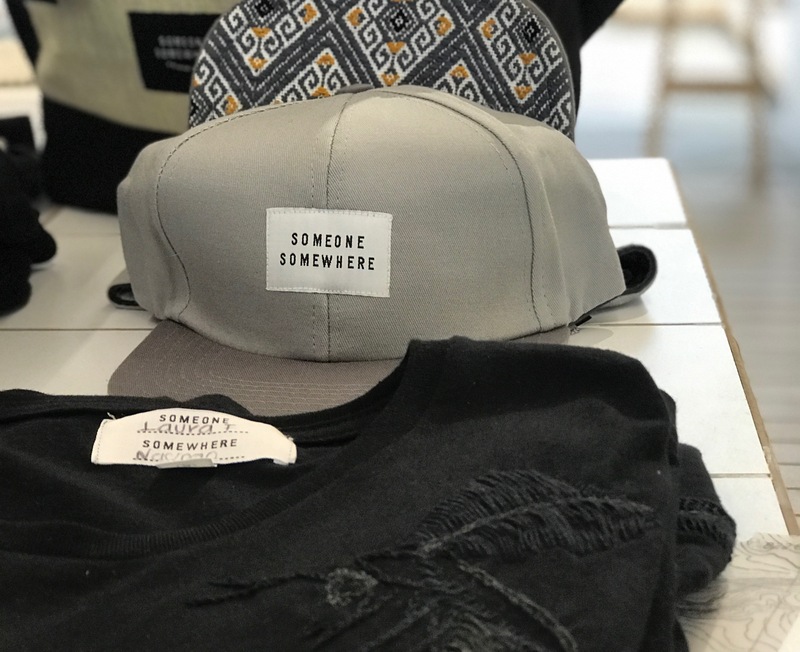 After the first two years in operation (when we were still at University) we attended an accelerator and figured out that the only way to scale (impact the lives of many artisans) was to make a cool, affordable brand the millennial market could relate to. We had to work with fashion designers to create unique products. Q: You run the Impact side, what does that mean? Fátima: I’m in charge of protecting the mission and purpose of the brand. That means that I’m the guardian of the people involved in our activities and value chain. That includes not only the artisans but also our in-house team. When we first created Someone Somewhere we knew that as we grew it would be very tempting to make business-oriented decisions instead of people oriented ones. For that reason, my co-founders and I decided to create an impact area to ensure that purpose. Last year we certified Someone Somewhere as a B corporation so that future investors will need to be aligned to these values and we will always be measuring our impact and validated by a third party. I’m also in charge of the relationship with the artisans and their communities. I work to understand their needs, and make sure that work we provide generates a positive impact in their lives. Q: Y’all are getting it. Like walking the walk, not just talking about it. When I came down to see you, I was really impressed with how Someone Somewhere has brought artisans into the retail supply chain. What factors determine which artisans communities you work with? Number of artisans in the region: Even if at first, we start working with small groups (between 10 and 30 artisans) we look after communities located in regions where we can expand when scaling our business in order to create artisanal clusters. Variety of artisanal techniques: The more artisanal techniques they practice the more variety of products we can create together in the long term. Level of community organization: When the artisans have previous experience working together even if it is for other purposes, half of the work is already done and they are ready to grow organically and prepare nearby communities when more artisans are needed in their groups. Connectedness: In terms of infrastructure and mobile or internet network as that facilitates our communication with them and we can keep track of each production. Q: What is your favorite stat about how you support your artisan communities? Fátima: Since we started Flor de Mayo, almost seven years ago, we haven’t left any of the communities in which we have put our feet. We haven’t failed to the personal promise we made to the artisans of coming back to their houses with more and more work each time and because of this we can see women gaining power and recognition in their families and communities. Our model is designed to create strong long term relationships with the artisans in order to provide them income certainty so that they can take better financial decisions and make their earnings truly impact their lives. They no longer have to invest their money in buying raw materials, or lose their time working on something that they don’t know if they are going to be able to sell. They don’t need to create products that they will then have to negotiate prices for or travel to the city to sell. Artisans won’t perceive their own family or other artisans in their community as competition but as a team. Someone Somewhere has taken all these issues into account for creating a new model and generate a meaningful impact. Q: That’s awesome. And what keeps you motivated knowing you still have more to achieve? Fátima: In Mexico alone there are more than 10 million artisans and 70% of them live in extreme poverty. We haven’t found yet a figure that can tell the number of artisans worldwide, but our estimation is that there are more than 200 million. Our dream is to scale our model to all the countries in which the artisans face the same problems as in ours. Q: You first launched with the pocket tee and have since released swimwear, travel and tech – and now womenswear. I even spotted one of your pullovers in Vogue Mexico recently. What’s the relationship between your in-house designers and the artisans to create your collections? 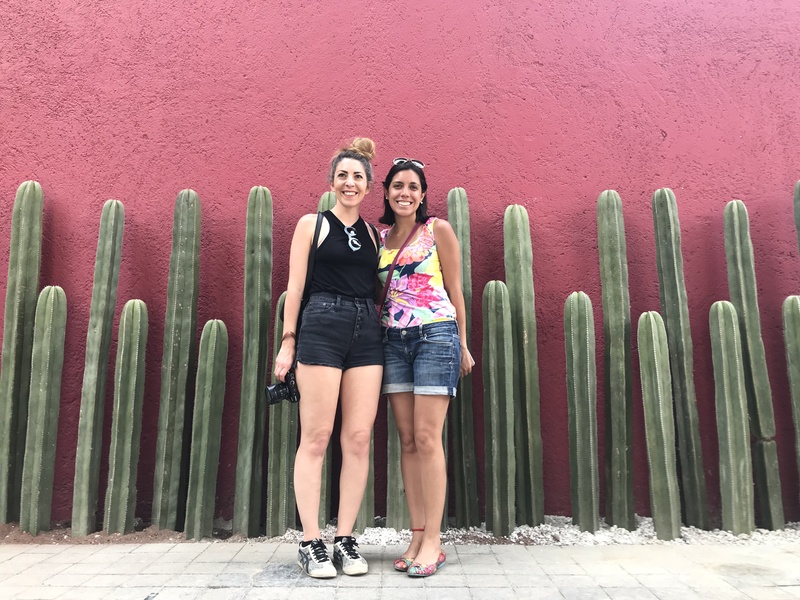 Fátima: Our designers always travel to the communities to get to understand perfectly the artisanal techniques, processes and cultural values that each pattern or iconography has. Then they go back to the city and see what the world is asking for and find the way to join those two elements. They prototype and make samples until the final product is defined, paying special attention to aesthetics, functionality and quality. Q: Do you have a favorite piece? Q: What do you hope to achieve with the brand? Fátima: Our dream is to eradicate rural poverty by giving people the ability to remain in their preferred communities, living the life they value with their cultural activities. I would love to reach the most artisans we can here in Mexico and then to scale our model to different countries around the world. These products can have a special impact on building a more inclusive society. Q: In the US there is a big discrepancy between having a diverse community even though majority of people in power are straight white men. What do you think of a curated website that features only brands created by people of color, women and/or the LGBTQ community? Fátima: Sounds great! I’m convinced that one of the ways to truly recognize and eliminate differences is by changing our consumption habits in favor of those how make more sense to us. It is not enough to accept that minorities exist and don’t do anything about it. Minorities need to be seen, heard and have more exposure commercially as well. I think it would be a great space for people already sensitized by this issue but also for all the people that are not aware of this problem and by looking into the work of this groups they can find and share the value of differences. If you enjoyed hearing the origin story of Someone Somewhere, drop your email on the line to learn about other brands run by women, people of color and LGBTQ.